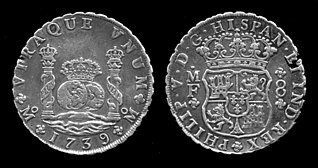 8 Reales Mexican Silver cob full date 1715 recovered from the 1715 fleet. Rare 8 Escudos Lima dated 1710 recovered from the 1715 Fleet. Treasure hunter Kip Wagner's team built an exhibit held at National Geographic "Explorers Hall" in Washington, D.C. that was featured in the January 1965 issue of National Geographic. This was the beginning of a fine collection of 1715 plate fleet treasure that brought hundreds of visitors from around the world. Wagner published his book Pieces of Eight (Recovering The Riches Of A Lost Spanish Fleet) in 1966. This is a detailed account of the finding and exploration of many of these shipwrecks along the Florida "Treasure Coast." An exhibit was set up with a grand opening on May 1, 1967, at the First National Bank of Satellite Beach, Florida. In 1987, another ship in the fleet, the Urca de Lima, became the first shipwreck in the Florida Underwater Archaeological Preserves. Fisher's company, Mel Fisher's Treasures, sold the rights to the 1715 Fleet shipwreck to Queens Jewels, LLC. In 2015, 1715 Fleet - Queens Jewels, LLC and their founder Brent Brisben discovered $4.5 million in gold coins off the coast of Florida; the coins come from the 1715 Fleet shipwreck. In the 2008 movie Fool's Gold, the protagonists are searching for the location of one of the sunken ships of the treasure fleet (along with its treasure). The treasure fleet was used as the backdrop for a scene in the video game Assassin's Creed IV: Black Flag. The main character, Edward Kenway, is aboard one of the ships in the fleet as a prisoner, and manages to escape with the help of his future quartermaster, Adéwalé, recruiting other captive pirates as a crew. The pirates eventually manage to escape the fleet and the hurricane by stealing the twelfth ship, the brig El Dorado, which Edward keeps and renames the Jackdaw, becoming the player's ship for the rest of the game. Edward later makes reference to the event when Blackbeard inquires as to how he got the Jackdaw, and the latter then suggests visiting the site to salvage some of the lost treasure. In the 1977 movie The Deep "David Sanders (Nick Nolte) and his British girlfriend Gail Berke (Jacqueline Bisset) recover a number of artifacts, including an ampule of amber-colored liquid and a medallion bearing the image of a woman and the letters "S.C.O.P.N" (an abbreviation of the Latin "Santa Clara ora pro nobis" that translates to English as "Santa Clara pray for us") and a date, 1714. St. David's Lighthouse keeper and treasure-hunter Romer Treece (Robert Shaw), believes the coin has come from the wreckage of a twelfth ship, a French tobacco ship that was being protected by the 1714 fleet and named Grifon (spelt "El Grifón" in Peter Benchley's novel The Deep), returning to Havana for repairs but sank off the coast of Bermuda. The plot of the Starz show Black Sails revolves heavily around the 1715 Treasure Fleet in its first season. 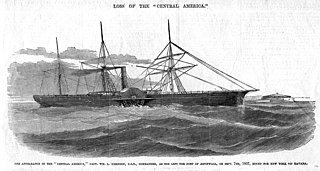 The largest of the ships, the Urca de Lima, is wrecked during the hurricane off the coast of Florida, carrying five million Spanish dollars' worth in gold, silver and other precious materials, pursued by Captain Flint and his crew. The treasure, colloquially referred to as "the Urca gold", is an important plot device throughout the series. ^ "1715 Plate Fleet, Page 10" (PDF). Brevard County Historical Commission. Archived from the original (PDF) on 26 March 2013. Retrieved 29 July 2013. ^ "$4.5M in gold found in shallow water - CNN Video". ^ Benchley, Peter (1976). The Deep (1 ed.). London: Andre Deutsch. p. 121. ISBN 0233967931. ^ "The Deep". 17 June 1977 – via IMDb. ^ Suissemade. "King Philip V & the Queens Jewels". www.1715treasurefleet.com. History of the 1715 Treasure Fleet. The Practical Book of Cobs 4th Ed. Sedwick – The Treasure of Cape Canaveral published in Indian River Journal by Brevard Historical Commission. The maritime history of Florida describes significant past events relating to the U.S. state of Florida in areas concerning shipping, shipwrecks, and military installations and lighthouses constructed to protect or aid navigation and development of the Florida peninsula. The Atocha Star is a 400-year-old emerald, weighing more than 25.87 carats (5.174 g) before being cut to 12.72 carats (2.544 g). The emerald is estimated to be worth between $3.2 and $5 million (USD). It was part of the treasure on board the ship Nuestra Señora de Atocha, also referred to as the Atocha. The Atocha was the largest Spanish treasure galleon in a fleet of twenty-eight ships bound for Spain which sank along with seven others in a hurricane on September 6, 1622. It sank with the Atocha Star emerald, the highest graded emerald of all Atocha Emeralds. Brent W. Brisben is an American treasure hunter best known for salvaging the shipwrecks of the historic 1715 Treasure Fleet, a Spanish treasure fleet returning from the New World to Spain. During the early morning hours of July 31, 1715, seven days after departing from Havana, Cuba, eleven of the twelve ships of this fleet were lost in a hurricane near present-day Vero Beach, Florida. Because the fleet was carrying silver, it is also known as the 1715 Plate Fleet. Some artifacts and even coins still wash up on Florida beaches from time to time. The Encarnación, nickname unknown, was an armed Spanish merchant ship of the Nao class, which was built in Veracruz, Viceroyalty of New Spain, likely sometime in the mid-1600s. The ship sank in a storm in 1681 at the mouth of the Chagres River and was discovered by archaeologists from the Texas State University in 2011.